From now until October 31st Samuel Cole Salon is collecting items to help the Food Bank. 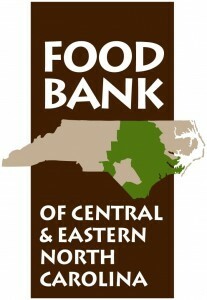 The mission of the Food Bank of Central & Eastern North Carolina is: No One Goes Hungry in Central & Eastern North Carolina. The Food Bank relies on support from the community. Established in 1980, the Food Bank is a nonprofit organization that has provided food for people at risk of hunger in 34 counties for 30 years. The Food Bank serves a network of more than 800 partner agencies such as soup kitchens, food pantries, shelters, and programs for children and adults through distribution centers in Durham, Greenville, New Bern, Raleigh, the Sandhills (Southern Pines) and Wilmington. From now until July 31st, Samuel Cole Salon is joining forces with the Raleigh Rescue Mission to collect in demand items for those in need. The Raleigh Rescue Mission serves men and women battling life controlling issues, women and children needing emergency shelter, those who thirst in the summer and shiver in the winter, those that never had a chance and those who need a second chance. The Mission is in desperate need of the following: Books, toilet paper, paper towels, napkins, deodorant, razors, shaving cream, soap, floss, mouthwash, lotion, etc. Please bring your donations to the salon at the time of your next appointment or anytime that is convenient for you. We will have a large basket in the reception area where you can place your donations. Thank you in advance for your help. We are excited to help our community! While the need for warm coats has never been greater, it has also never been easier to meet this vital need in our community. We have joined with One Warm Coat and invite area residents to join us in an effort to ensure that no one goes without a warm coat this winter. 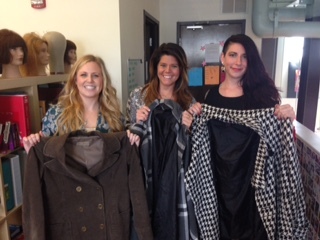 From September through the end of December, Samuel Cole Salon will be receiving coats to donate. One Warm Coat is dedicated to collecting and distributing gently used coats–free of charge and without discrimination–directly to local children and adults in the local area. 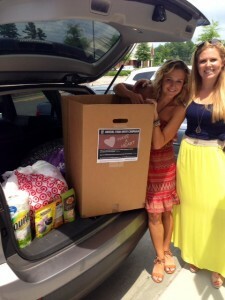 It is so wonderful to be a part of helping others in our community. It’s amazing what good can be accomplished when everyone contributes. We are excited to be involved in providing the basic need of warmth this winter season”, said Joelle Ray- Owner Samuel Cole Salon. Samuel Cole Salon and the Food Bank of Central & Eastern North Carolina have joined forces to “Stock the Pantry” this summer. The summer months are particularly challenging when children in need are out of school and have even less access to nutritional meals. Almost half of those who use the Food Bank’s services are children and those over the age of 65.needed contributions for infants are diapers, wipes, formula and infant cereal. For kids the most needed are sugar- free pudding cups, granola bars, popcorn crackers and juice boxes. And for seniors, nutritional shakes and drinks as well as adult hygiene products. More general but still on the most needed list are canned fruit, vegetables, meat, beans and soup as well as whole grain pasta and rice and peanut butter. Lastly are hygiene items, household items and paper products. The food bank requests no glass please. We will be collecting items from now until August 30, 2014. Just drop off your contribution at your next appointment or whenever it is convenient . There is collection box in our reception area. 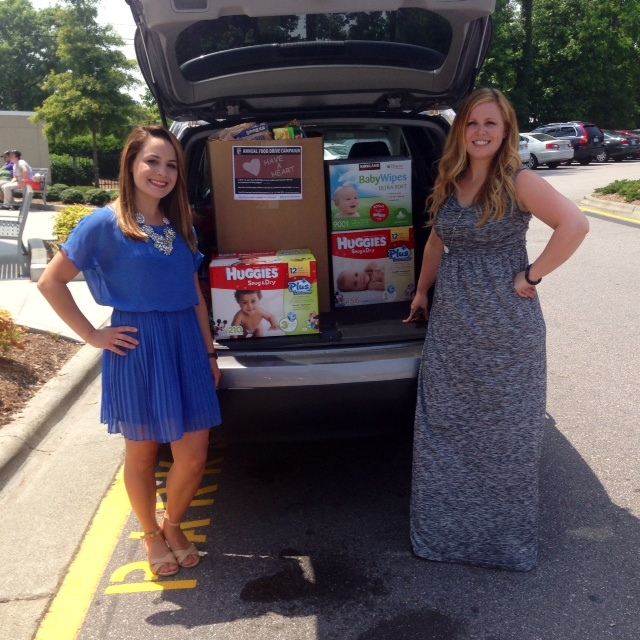 We are super excited to help such an amazing organization! Thank you so much in advance for your help. 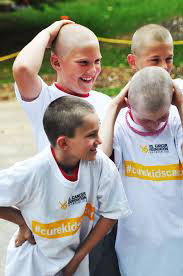 January 2014 (RALEIGH, NC) – Samuel Cole Salon has teamed up with the Vs. Cancer Foundation to help children battling cancer in our community! Joining forces with Duke Children’s Hospital and NC Children’s Hospital, Samuel Cole Salon asked how they could help these kids during their treatment. The overwhelming response from the hospitals…Matchbox cars and children’s DVD movies. 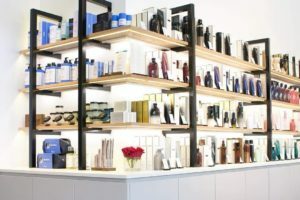 Samuel Cole Salon will host the drive through March, asking employees, clients, and our community to contribute these much needed items or donate directly at samuelcole.vs-cancer.org. “It may seem very simple, but sometimes the simplest gift can lift spirits the most. We are so motivated to get as many donations as possible to help make these children’s treatments just a little easier,” said Joelle Ray, co-owner of Samuel Cole Salon with her husband, Jack.